DE: Wile E. Coyote und seine neuste geniale Idee. Ein Ident für die Deutsche Version des TV-Senders "Boomerang", eine CartoonNetwork Tocher. EN: Wile E. Coyote and his next great Idea. 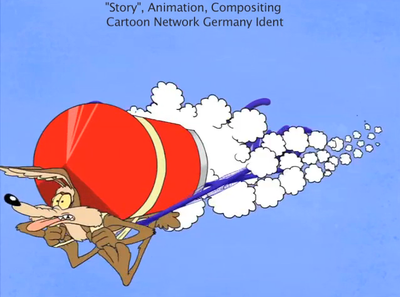 Ident for the german version of the tv-station "Boomerang", a CartoonNetwork subgroup. This page was last edited on 12 February 2019, at 23:49.